Help a child start the school year off right! Throughout August, The Unitarian Society (TUS) is teaming up with the New Brunswick Hub Teen Center to gather school supplies and new or gently-used backpacks that will be given to local students in need. 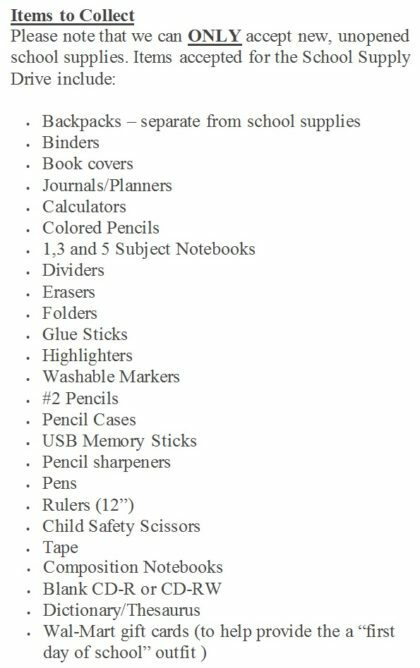 Supplies may be dropped off at TUS, 176 Tices Lane, East Brunswick until August 30. Leftover supplies will be given to teachers who can pass them on to students in need throughout the school year. For more information about the collection, contact Bob Munson at 732-742-6686.